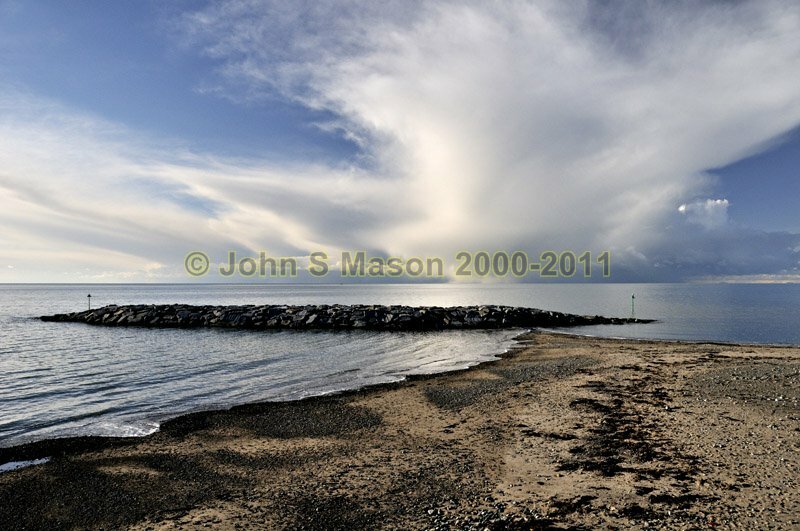 The Tywyn Sea-defences Project: one of the completed breakwaters, with navigational markers at either end. Product number 111040. Email me to enquire about this image: click HERE.